Westerly winds will become gusty this afternoon and may support an increase in wildfire spread potential, primarily across northeast Oklahoma and far northwest Arkansas. Another cold front will pass through the region overnight. Northerly winds will increase and drop wind chill values to around zero degrees late tonight across portions of northeast Oklahoma and far northwest Arkansas. 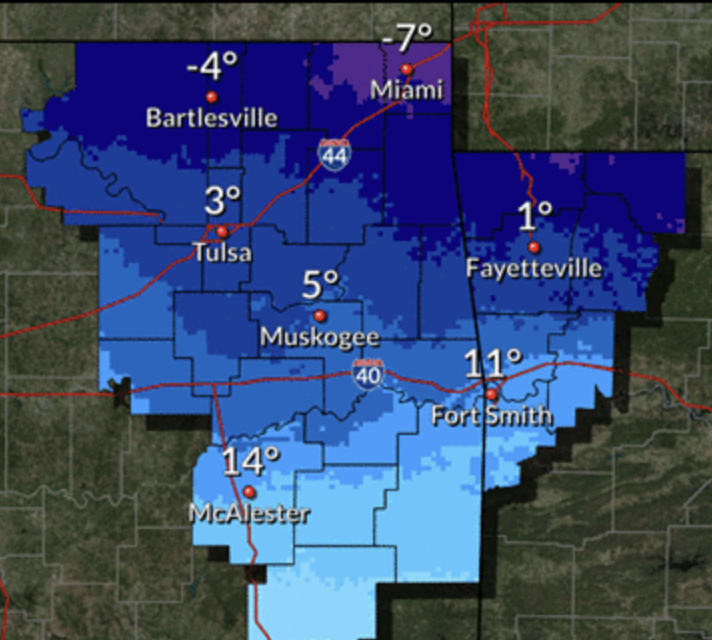 Wind chill values of zero to minus 5 degrees will be likely late Tuesday night through Wednesday morning for areas along and north of Interstate 40. Avoid prolonged outdoor exposure during these times. Temperatures will quickly moderate by late week with much above normal temperatures likely for the weekend.